Posts about the environment, ecology, climate change and global warming. Eco-friendly, organic, natural and green are familiar labels companies use to describe themselves and their products but they can be misleading. Sixty-six percent of consumers spend more on a product if they believe it’s a sustainable brand, and millennials are in the 72 percent group. However, not all products are as green as they claim. Companies spend a significant amount of money to advertise items as “green” even when they don’t measure up. Using calculated marketing, they capitalize on the growing trend of ecologically sound products. 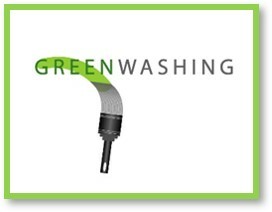 Known as greenwashing, it creates a false impression of environmental compliance. The term originated in the 1960s when the main vehicles for advertising were television, radio and print media. Consumers were unable to fact check the way we can today because Al Gore would not invent the internet until 1983. The growing demand to be environmentally compliant created fertile ground for manufacturers tapping into a market of baby boomers invested in Mother Earth. 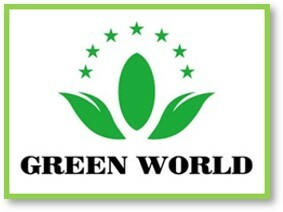 This group of consumers promotes natural, healthier, chemically free and recyclable products. Protecting natural resources created the movement that embraced being green. Today some of the world’s largest manufacturers, namely energy companies and offenders of carbon emissions, are rebranding themselves as environmental defenders without making needed changes. 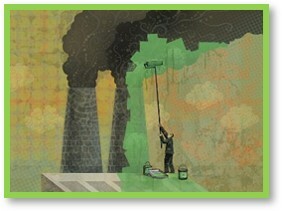 Greenwashing their compliance allows them to pretend with minimal investment. Products are greenwashed by renaming, rebranding, or repackaging them to convey the idea they are natural, wholesome, and free of chemicals, especially against competing brands. Also known as green sheen, the term gained notoriety when the hotel industry devised one of the most blatant examples of greenwashing. They placed notices in hotel rooms asking guests to reuse their towels to save the environment. In reality, their intent was to reduce the hotel’s laundry costs and had no environmental benefit. I fell for it and so did you. Vagueness: A claim so poorly defined that its real meaning is likely to be misunderstood. The term “organic” requires an actual certification. Lesser of Two Evils: A claim that distracts the consumer from the greater environmental impacts of the category as a whole. Chemical companies are big offenders, beauty companies are big pretenders. Big offenders include gas and oil companies, and right there with them are plastics manufacturers. In the 1980s, Chevron Oil Company created a series of television and print ads called the People Do campaign to convince the public of their environmental dedication. It even became a case study at Harvard Business school. While these ads ran, extolling Chevron’s environmental virtue, they were dumping oil into wild life habitats, violating the clean air and water acts and becoming the corporate poster child for environmental greenwashing. Some people don’t. In 1991, DuPont Chemical Company launched double-hulled oil tankers as their commitment to safeguarding the environment. DuPont’s ads, featuring marine animals dancing to Beethoven’s Ode to Joy camouflaged the fact that they were the year’s largest corporate polluter. Westinghouse came until similar scrutiny with a series a series of ads extolling the cleanliness and safety of their nuclear power plants, blatantly ignoring the impact of recent nuclear meltdowns and waste. Then there’s Volkswagen. In 2015, the company advertised clean diesel car thanks to engineers who faked emissions tests on over 500,000 vehicles. The cover-up went right to the top, authorized by the CEO. He resigned; they pled guilty and paid $4.3 billion in penalties. Visit any mainstream cosmetics aisle to read labels promoting natural, organic, and cruelty free products. There is no organization certifying these claims just manufacturers putting half-truths into their product marketing. We want to believe, but Buyer Beware. In the make-up and skin-care industry, the number one violation continues to be embellishing the benefit of the product, followed by all natural claims. Here is a list of those doing it right, and kudos to them all. The downside is the high cost and the likelihood you have never heard of them. Corporate transparency remains a key factor in organic advertising. When the line between natural and artificial begins to blur you land on the slippery slope of greenwashing. An example is Burt’s Bees. Begun as a local organically focused company, their acquisition by Clorox meant lower-cost non-organic fillers in their line of lip balms. 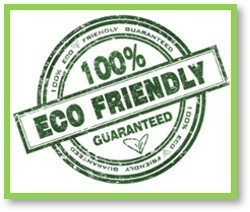 They maintain their claim of eco-friendly and all natural. As consumers embrace greener practices, corporations face increasing litigation and heavy fines for false or misleading claims. In 2017, Walmart paid one million dollars for claiming the plastics they sold were environmentally responsible. One company getting it right is clothing retailer Patagonia. Their website lists ways they reduce their carbon footprint with a tab called environmental impact. Another is Seventh Generation household cleaners. They describe themselves as “a company on a mission,” committed to planning the health, environmental, and social impact of their products seven generations ahead. Their promise is to be completely bio based by 2025. Sustainability is a marketing necessity, paving the way for companies to stop greenwashing to entice consumers. Accountability is rising and fact checking is easier. Earth’s resources are not finite, and companies committed to protecting the planet continue to grow. Informed consumers make good buying decisions and research is readily available to the curious. Think Green. Buy Green. Live Green.